Sea of Shadows follows twin sisters Moria and Ashyn who are the Keeper and Seeker of the Forest of the Dead. The Forest of the Dead is where the empire exiles its criminals. Each year the Seeker must go into the forest to quiet the angry souls. But this year the seeking goes terribly wrong. The sisters are separated by an ancient evil that is bringing alive monsters that were thought to only be in stories. The sisters travel the wastelands to journey to the emperor to warn him of the danger that has come to their land but when they reach their destination they discover a secret that will change their world. I am not usually a huge high fantasy fan but I loved Kelley Armstrong’s Darkest Powers series so when I got sent it I decided to give it a try, man am I glad I did. I found Sea of Shadows so unique and engaging. Armstrong was able to create a well detailed precise world that I was able to picture in my mind. The plot was fantastic and somehow she made the book to seem very adventure filled even when at times the pacing had slowed down. The book seemed very though out and crafted. One thing I really liked about this book is it was told in an alternating POV between the sisters. I love these types of books but I enjoyed it for another reason in this book then I usually do.During the book the sisters get separated so through the alternating POV you almost get to have two stories in one book and I really liked that aspect. That even made it possible to have two romances in the book. The romance was obviously just starting to build in this book though and I really hope we get to see it evolve more in the next book. I usually get a better feel for one of the story tellers but I actually think I equally liked each sister’s story telling which really helped me read the book. Armstrong really has a way with creating worlds. The plot was very unique and thought out but every little detail and characters were that way too. I thing I loved in this book was the different monsters Armstrong wrote about. Sometimes I get bored of the same monsters and creatures being repeated over and over again in YA but Armstrong was able to introduce some great variation in YA monsters in this book. I can tell that Armstrong has a master plan for this series and I am really excited to see what she has ready for us. 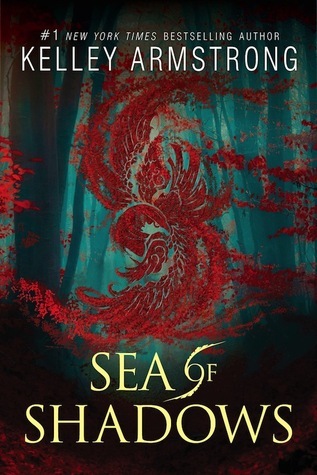 Sea of Shadows was the perfect set up for a new series and I am expecting and hoping to find a lot more action and suspense in the coming books! Check out more about the author and her books here.